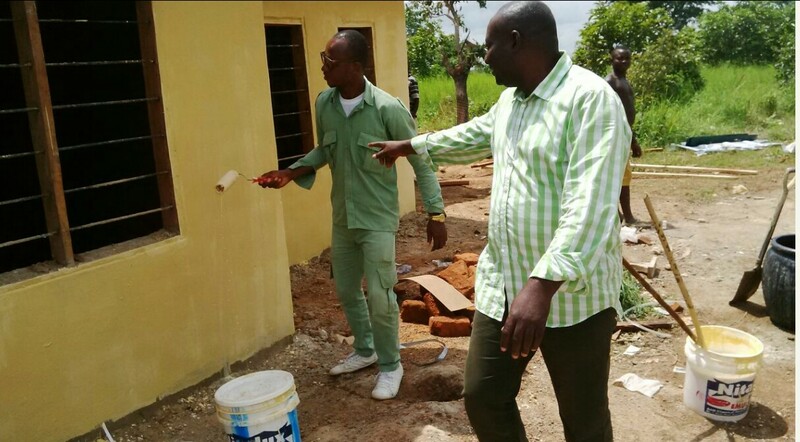 Primary Health Centre Constructed By Outgone Batch 2013 Batch C Corper in Benue - Corpr! When my friend Dr. Ekem Emmanuel John called to inform me that he was embarking on a personal Community Development Service project to build a primary healthcare center for his host community, as part of his National Youth Service year projects. I had my reservations but I did not discourage him. I wondered how a poorly remunerated Corps member would carry out such a huge project that even Local Government Chairmen with all the resources at their disposal, shy away from. How this young Doctor was going to complete the project even if he started it, was another source of worry to me, given the short time frame he had before his service year was to come to an end. Against all odds, through determination, doggedness and selfless sacrifice, Dr. Emmanuel John started the foundation of the hospital project singlehandedly. 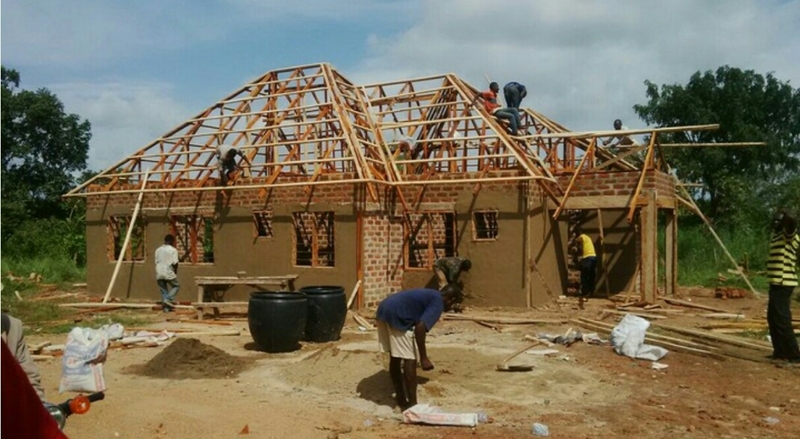 When his meager stipends could no longer fund the project, he reached out to friends and members of his host community for help. I wrote an article appealing to public spirited individuals for assistance to enable him realize his dream. Needless to say, this intervention did very little,in fact he told me it yielded NOTHING, as some cynical Nigerians instead chose to sneer at his dream. His desire and passion to provide his suffering host community with a lifeline did not wane despite certain disappointments and failed promises; instead they emboldened his resolve to strive harder. At a point, he took great risks and put his life on the line just to give citizens of his indigent host community a chance to have a better life. His efforts paid off and within 2 months, Dr. Emmanuel John erected and completed a big primary health care center that can only be second to the types built by the Rivers State government and is indeed better than those built by most of our State governments. Being a Corps member was mandatory by law but being a Corps member who makes a difference is a matter of choice. Dr. Emmanuel Ekem John could have overlooked the plight of the community where he was posted to serve; he could have abandoned that remote village, stayed back in the beautiful city of Port Harcourt and gotten some corrupt official to cover for him in Benue State like some Corps members do. He chose to stay back and instead of cursing the darkness, he lit a candle and brought smiles on the faces of a community long abandoned. Dr. Emmanuel John has shown what is possible when we talk less and do more; he has demonstrated what is achievable when we are willing to make sacrifices for the sake of humanity. My hope that the future of our country holds a bright promise, is rekindled by the selfless action of my friend-now I know that we have youths who can rise above the vices and pettiness in our society to take actions that impacts future generations positively. A philosopher once said that “What we do for ourselves dies with us, but what we do for others and the world remains and is immortal”. 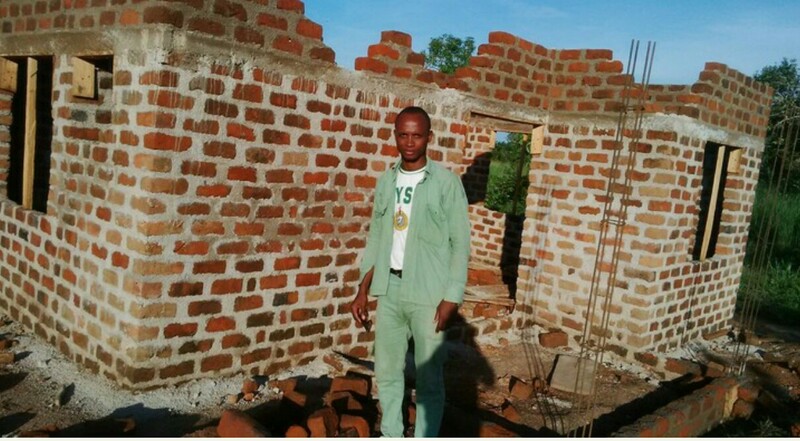 The Igbindar Ateretar village of Mbadam-Mbatierev community in Gboko Local government area will never forget the stranger who gave them succor and hope. Every child born in that healthcare center, every life saved from death,every child that attends school because he or her parent earned wages from that health centre and every family that will be fed because of the jobs created by the clinic, will never forget the kind Doctor whose passion for change, changed their lives for good. Dr. Emmanuel Ekem John continues to inspire people like me to believe that the change we desire is within our reach and that as ordinary citizens we can make extra ordinary impact! He was awarded the NYSC State Honours award by the Benue State NYSC governing board as the best batch C Corps member in the 2013/2014 set. It is an honour well deserved and a charge to do more for country and God. Rather as he would usually say, “we do what we do for the love of God and country”. We need more people like this in our communities. It’s good to know that in a depraved society, we still have youths with heart of gold. But an inspiring story like this won’t be complete without photos, you know? Would’ve loved to see Dr Emmanuel probably posing in front of the Health centre.